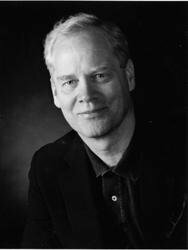 Describing his novel, Andrew Clements writes that Frindle "is about discovering the true nature of words, language, thought, community, learning." Take each of these ideas one at a time. How is each explored in Frindle? What do you think is the true nature of each? The frindle is just one of Nick's great ideas. Brainstorm about ways you could improve your own school. How can you turn your ideas into action? "Every good story," Mrs. Granger writes to Nick, "needs a bad guy, don't you think?" Do you agree? Does every good story have a villain? Can you think of any that don't? Brian Selznick's illustrations add their own sly humor to Frindle. Discuss a few of your favorites in detail. For example, how does his first illustration, opposite the title page, help set up the novel? How do you know from his fullpage portrait of Mrs. Granger that she can't be pushed around? Although Nick didn't know it until he turned twenty-one, his new word earned him a huge amount of money. Do you think his parents were right in setting up a trust fund for him? What do you think he might have done with the money if he could have spent it earlier? What would you do if you suddenly had a lot of money of your own? "School," the author writes in Frindle, "was the perfect place to launch a new word." Why? What makes schools such good breeding grounds for fads? Do companies or community organizations ever use your school for promoting products or services? How? Years after he leaves Mrs. Granger's class, Nick finds a perfect way to show her how important she was to him. What's your teacher's idea of a perfect gift from a former student? Has he or she received it yet? Create and define your own new word. Think of an object, a situation, or behavior that you think needs a single new word all its own. 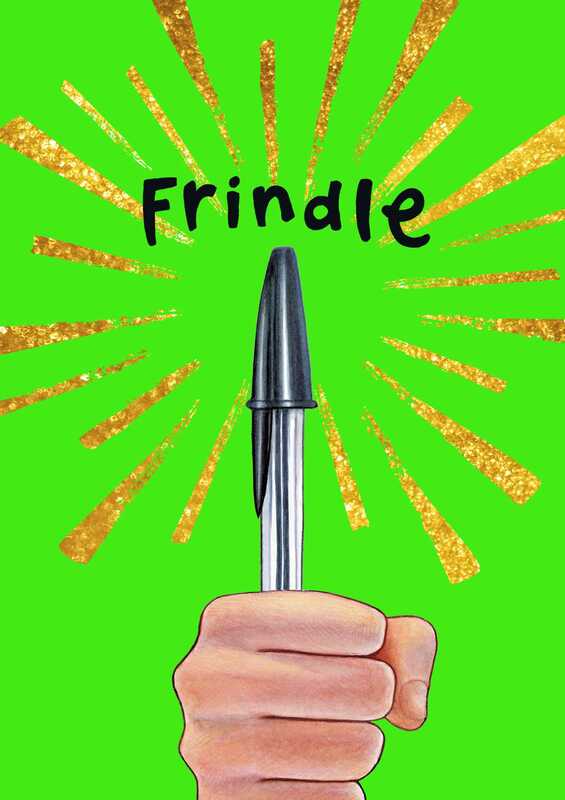 When Nick decides to call a pen a frindle, he creates a new synonym for a word that has few. But many words, such as friend or attractive, already have several common synonyms. On your own or with a group, make a list of words with many synonyms. What's the largest number of synonyms you can come up with for one single word? New inventions and ideas or changing cultural influences continually add new words to our language. With the help of your parents or another adult, assemble a list of new words or new meanings for old words that have entered common usage within the last generation. Ask them as well about common words from their own childhood that are now seldom used. Nick makes his mark on the world even though he's just a fifth grader. Research and report to your class on other individuals who made significant contributions to literature, science, music, or other fields while still very young. If possible, bring in examples of their work. Interview a parent or a close adult friend about the teacher who meant the most to them when they were young. Did they always admire that teacher or did they grow to respect him or her more over time? What did they learn from that teacher? How did they learn it? Have they kept up with the teacher since leaving school? Mrs. Granger is a firm believer in improving vocabulary by studying word lists, but there are also playful ways to boost your word power. Look for board games based on words, crossword puzzles, or any books that feature word games. And, of course, reading more good books is another sure way to increase your vocabulary. News about Nick's new word spreads fast. First within his class, then in his hometown newspaper, later on television news shows and entertainment talk shows. Track a current news story through the media. Where did you first learn about the story? Keep a record of all the media outlets -- newspapers, magazines, the Internet, radio and television newscasts, or entertainment shows -- that also feature the same story.